Shore Safety has been working with safety by the water since 1972. We develop, manufacture and market lifesaving equipment and services to customers in the Nordic region and the rest of the world. 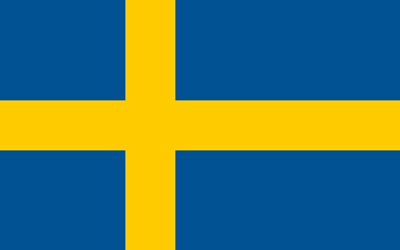 Our office and production are situated in Gothenburg, Sweden, and we work with Swedish suppliers. We deliver equipment and services to commercial-, guest- and leisure harbours, municipalities and other owners of facilities near water, construction companies and contractors. Our products are of high quality and have high class functionality. We provide spare parts with the same level of quality to all our products. Facilities by the water are exposed to numerous risks and need continuous supervision. Our unique service “Safe Waters” offers continuous supervision and reviews of such facilities. We offer our customers education and seminars on how to check and verify their lifesaving equipment. We also educate beach- and harbour hosts and event staffs on how to use lifesaving equipment in the right way. Our mission is to reduce drowning worldwide by providing public lifesaving equipment. Develop and provide special equipment for lifesaving by water, available to the public. Inform about ”Facility liability and safety by the water” according to the Law on Protection against Accidents (LSO). Offer support in quality assurance issues. Cooperation with governmental institutions and NGO's, such as the Swedish Civil Protection and Emergency Agency (MSB), Swedish Rescue Service (RS), Swedish Lifesaving Association (SLS) and others. Shore Safety – awareness of liability for facilities by water. At Shore Safety, we strive for a more sustainable environment, for the good of future generations. We manufacture our products with recyclable materials and recycle and re-use packaging materials. We utilize local suppliers and environmentally friendly alternatives if possible. If you don't already receive our newsletter, you can sign up for it here to the right. On several documented occasions, our lifesaving equipment have successfully been used for its intended purpose and saved lives. The following stories are just two examples of accidents that occurred in Sweden. In April of 2002, a woman misjudges the stability of the ice of lake Storsjön in Östersund and falls through the ice into the water. The woman luckily gets spotted by a passing man who uses a nearby rescue raft along with a rescue hook and manages to access the woman out on the frozen lake. By holding her above the water surface with the rescue hook, he saves her life. In January of 2013, a woman fell into the harbour by the opera house in Gothenburg. Gunnar Friberg, a retired diver who happened to be nearby, prevents the woman from drifting away with the current by holding her head above the water surface with the help of our rescue hook, until the rescue service arrives. Do you have other documented stories of lives being saved thanks to lifesaving equipment? Do not hesitate to contact us - we would proudly publish your story on our website. In 1972, Lars Åkersten founded A-Miljö AB. Lars was a former safety engineer in the harbour of Gothenburg, and his main purpose with starting the company was to provide low maintenance public lifesaving equipment to facilities by the water. The customers were set to be Swedish municipalities, with a focus on commercial/industrial harbours, canals and larger beaches. In 1981, the company established several collaborations with important authorities in the Swedish society. Together they formed recommendations for public lifesaving equipment. In 2000, Lars Åkersten retired and his son Lars-Erik Åkersten stepped up as the new CEO. In 2002, the name is changed to Shore Safety AB. In 2003, the concept “Safety by the Water” spread beyond Swedish borders and was established in Denmark. In 2012, the company launch their new rescue platform, Rescue Raft RR3 – a further developed and improved version on the RR2 that was sold between 1992 and 2011. The following video clip was shown at the World Conference on Drowning Prevention in Potsdam, Germany, in 2013. It is a demonstration of public lifesaving equipment and -methods, among them our RR3 rescue raft method and or rescue ladder lift-and-pull method. It also includes information about our flagship rescue raft RR3 and its advantages. The film was shown at the World Conference on Drowning Prevention in Potsdam, Germany, 2013. The magazine Båtliv ("Boating"; largest boat magazine in Europe) and the Swedish Boating Union (SBU) appoints every year the Boat Club of the Year. The nominations are made on www.aretsbatklubb.se and a jury the appoints the winner. 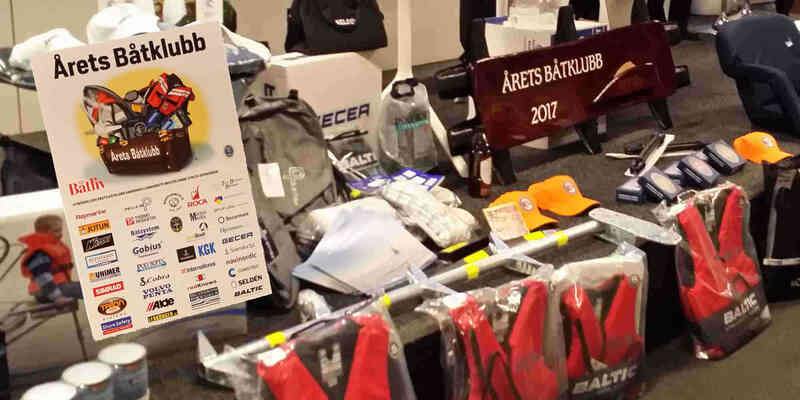 The award 2017 was presented at the Gothenburg Boat Show, February 3, 2018 and the winner was Grundsunds båtklubb. Shore Safety is a proud sponsor of the award and congratulates Grundsunds båtklubb to it. Besides the honor, Grundsunds båtklubb received products and services at a value of approx. 150 000 SEK. Shore Safety’s contribution to the award was a foldable ladder set for pontoon bridges. Read more about this ladder here. Through an agreement with the Swedish Boating Union, Shore Safety offer SBU's members very advantageous prices on our safety products. Have a look at the products here.